"Pessimists are usually right and optimists are usually wrong but all the great changes have been accomplished by optimists. So what am I? I guess I would call myself a sober optimist...If you are not sober about the scale of the challenge, then you are not paying attention. But if you are not an optimist, you have no chance of generating the kind of mass movement needed to achieve the needed scale." Thomas Friedman, renowned New York Times columnist, author, and public speaker has been speaking and writing about the imperative need for American transition toward green energy for some time. His profound belief in superior American ingenuity and innovation, coupled with the rapidly growing world appetite for energy, is the potent recipe which should be directing our creative and practical energies toward a shift in US mentality that is not only good for our collective health, but also spells opportunity. Photovoltaic production has been doubling every two years, increasing by an average of 48 percent each year since 2002, making it the world’s fastest-growing energy technology. 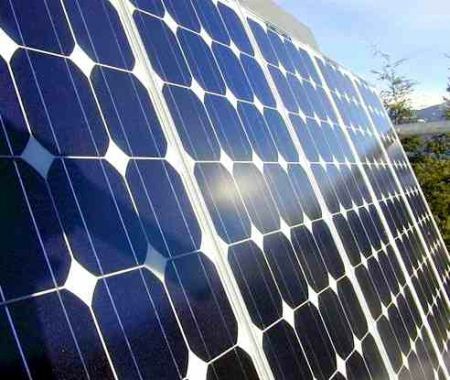 The market research firm Gartner forecasts a 27% increase in semiconductor manufacturing in 2010, and a 35% increase in PV installations, even with the reduction of feed-in tariffs by the government in Germany, the world’s largest manufacturer of PV equipment. Yet, as a developing industry, the PV arena has been evolving, and will continue to do so. Cimetrix has been involved in global efforts to define PV Standards through the PV-EIS Task Force since its inception in 2007. Standards were approved and published in June 2009, and Cimetrix engineers are uniquely qualified to understand and implement these standards as our PV customers adopt them. All this bodes well for business, certainly in the short term. But another picture also emerges—one with cleaner air to breathe, fewer creatures futilely struggling to shed the oily coat imprisoning them, fewer distraught families hoping against dimming hope to see a loved one emerging from the mines, or watching fewer news images of the defeat and panic in the eyes of those who have lost their livelihood. Renewable energy sources can and will be a win-win for society and business alike. I, too, am an optimist. I know I’m on a winning team.